Assisted Reproductive Technology Bill 2010 continues to remain in incipient stages. The present guidelines are not binding and unable to fully regulate surrogacy in India. As a consequence, the parties involved have been so far left unprotected. This multi-billion dollars industry requires urgent regulations in order to make surrogacy a safe, fair and coherent practice. 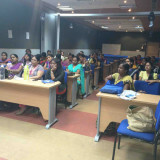 To help overcoming the lack of legal protection, the CSR has organised a National Conference with associates and stakeholders experienced in the field of reproductive rights and women’s health issues, with the aim of drafting recommendations for a legal policy which can then be circulated amongst key stakeholders of the Medical, Legal and Political sphere. This is a unique opportunity for policy makers to explore the unregulated sides of surrogacy and to better foresee an action plan for future legislations. 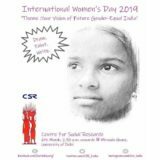 As Dr. Ranjana Kumari, CSR director said, in absence of any regulation human rights of women are getting violated, and rights of children born out of surrogacy are unprotected. The whole activity ought to step out of the informal sector and we are pressing for a law to be enacted by the Government of India. Both the couple or individual seeking surrogacy through the use of assisted reproductive technology, and the surrogate mother, shall enter into a surrogacy agreement which shall be legally enforceable. The contract however doesn’t have any legal value, and it’s often signed between the surrogate mother and the intended parents only (Only 3.3% of the concerned persons in the clinic in Anand and 5.6% in Surat said that they have been a part of such contract). Furthermore, surrogate mothers cannot negotiate any part of it. The exploratory study on surrogacy conducted by the CSR* shows that surrogate mothers also tend to sign the contract after they get pregnant (in their 3rd or 4th month of pregnancy). 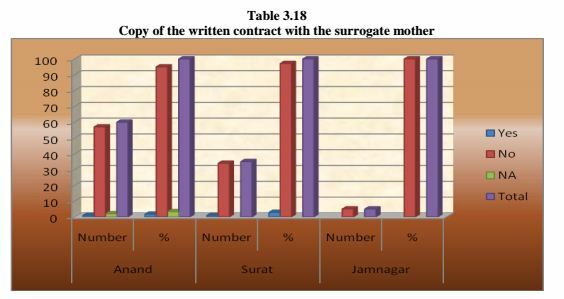 The study also shows the majority of the surrogate mothers are illiterate (51.7% in Anand and 8.6% in Surat) or have primary education (31.7% in Anand, 54.3% in Surat and 60% in Jamnagar) which shed doubt on the proper understanding of the contract. The surrogacy arrangement contract rarely addresses issues related primarily to the well being and health of the surrogate mother. All expenses shall be borne by the couple or individual seeking surrogacy. The CSR study however highlights that the surrogate mother has to leave the shelter home immediately after she hands over the baby. Any further clinical consultation has to be carried out on her own expenses. The surrogate mother may also receive monetary compensation from the couple or individual to act as such surrogate. The research shows that the surrogate mother doesn’t have the power of contracting the value of the compensation or any other part of it, and only 1-1.5% of the total compensation goes to the surrogate mother. A surrogate mother shall relinquish all parental rights over the child. An overlap has been identified between parental rights and individual rights: it’s worth mentioning that surrogate mothers lose any power over their body during pregnancy. The surrogate may be forced to terminate the pregnancy if desired by the contracting couple and she will not be able to terminate it if it is against the desire of the couple. 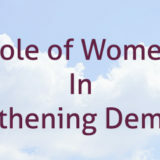 Also, in most cases the decision to relinquish the baby after birth is jointly taken by the commissioning parents and the clinic, whereas the situational analysis study shows that surrogate mothers do not seem to have any right to interfere in the decision-making process. The birth certificate issued in respect of a baby born through surrogacy shall bear the name(s) of individual/individuals who commissioned the surrogacy, as parents. 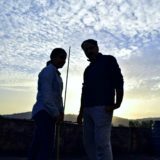 Problems about parenthood, citizenship and birth certificate have been identified in real life cases and some questions are left unanswered: will the child born to an Indian surrogate mother be a citizen of this country and why? Who arranges the birth certificate and passport required by the foreign couple at the time of immigration? Whose name will appear on the birth certificate? The surrogacy agreement should involve the three parties (surrogate mother, clinic, and intentional parents) and should consider the rights of the surrogate mother and the baby, as well as the responsibility of the clinic. Adoption of a surrogate child should be clearly defined and regulated by law, and there should be a substantial regulation designed to protect the interests of the child legal recognition of termination and transfer of parenting rights. The rights of the child should be protected in case s/he is not taken by the commissioning parents. The surrogate mother should be provided with the copy of the contract as she is a party in the agreement and her interests should be taken into account. There should be an interpreter (other than doctor) for the communication linkage between the surrogate and intended parents in order to convey the message from surrogate mother. In case surrogate mother gives birth to twins she should be paid double amount or at least 75% of the price for the second child. It is recommended that there should be a provision of intensive care and medical check-ups of their reproductive organs during the 3 months after pregnancy. Health Insurance for both the surrogate mother and the child is essential to ensure a healthy life. The government needs to monitor the surrogacy clinics, which generally charge arbitrary prices for surrogacy arrangements. Dr Kumari, CSR director asks: Why should poor women be exploited and their vulnerability used for the pleasure of having one’s child by not exploring the option of adoption? 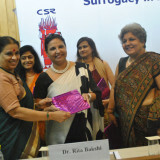 If surrogacy has to continue as medical practice, I would opt for altruistic and non commercial surrogacy. To explore these issues and many more, we invite you to participate to the National Conference on 22nd and 23rd September 2014, 10.00-16.30 at the Gulmohar Hall, India Habitat Centre in New Delhi. The final aim is to publish and circulate a qualitative report on the conference proceedings and policy recommendations suggested by all the key stakeholders. Join us in the debate! 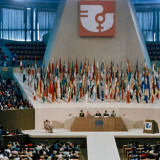 The conference is free and open to all individuals. Download the Complete Delhi & Mumbai, Surat-Gujarat Report of Surrogacy Motherhood: Ethical or Commercial?